If you’re interested in Hong Kong-based pharmacies, this article is for you. We cover topics such as finding your desired medication and ensuring you order from reliable, registered providers only. We also cover how to bring the medicine through your country’s customs. Usually, any medicine which is dispensed under prescription abroad will also only be available via prescription within Hong Kong. There are exceptions however, whereby drugs are available over the counter in Hong Kong that are only dispensed under a physician’s instruction elsewhere. This is the case with birth control pills, which are freely available in Hong Kong pharmacies but require a doctor’s script in most other countries. The reverse case may also apply, whereby certain drugs require a doctor’s script in Hong Kong. This is unusual however, and the further good news is that almost all the medications you buy at home are also sold in Hong Kong, although you may find them under another brand. If you buy Modafinil in Hong Kong you will find it under different names either. The trick is to seek them by the pharmaceutical term for their active ingredient rather than by their familiar branding, which may be specific to your region or country. For your safety, always check the two versions are indeed identical; this will be a straightforward process as the box will list all ingredients in English. In Hong Kong, it is standard practice to get your medicine directly from a clinic’s counter or from your doctor’s practice. Public hospitals and clinics charge only a minor dispensing fee, about 10 Hong Kong Dollars. You will likely pay a lot more at a pharmacy or private doctor, although you may claim such costs back if you have a personal health insurance policy which covers medication. You will always find your name, your doctor’s name, the pharmacy’s name and your prescribed dosage on any privately-dispensed medication. Safety warnings may also be listed. 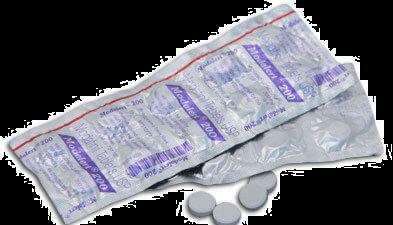 If you wish to confirm the availability of your desired medication, for example modafinil in Hong Kong, there’s a foolproof method. Simply contact the Pharmaceutical Service. Their website lists all medications approved for sale within Hong Kong. If you see a drug there, it’s definitely available for legal purchase. The website also lists an approved pharmaceutical product’s five digit number of registration. This number will also appear on a medicine’s packaging, preceded by the code HK. Any product so-labeled should be entirely legitimate. Chinese herbal and traditional medicine is well-represented in Hong Kong but such products are generally sold at specialized vendors rather than alongside Western drugs. If purchasing traditional Chinese medicines, knowledge of Cantonese will be of great benefit. Vendors of such remedies don’t require a pharmacist’s license but rather a distinct form of regulatory approval, unique to dealers in such traditional medicines. In order to send a large shipment of pharmaceuticals to Hong Kong you will first need the relevant Department of Health license. When arriving as a tourist or expat, no such license is required to bring in medicine for your personal use. Hong Kong customs officials will allow personal medicine in your carry-on luggage through without question. A prescription for any such medicine from your doctor back home isn’t necessary, although it certainly can’t hurt to bring it along to defuse any potential confusion with customs agents.